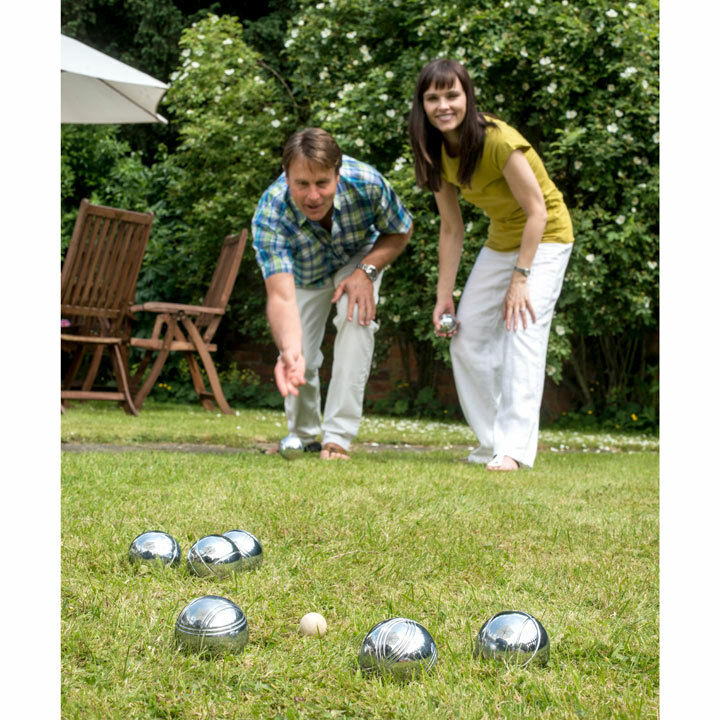 The objective is to throw the heavy metal balls (called boules in France, and bocce in Italy) as close as possible to the small target ball, play on grass or sand, suitable for all ages. 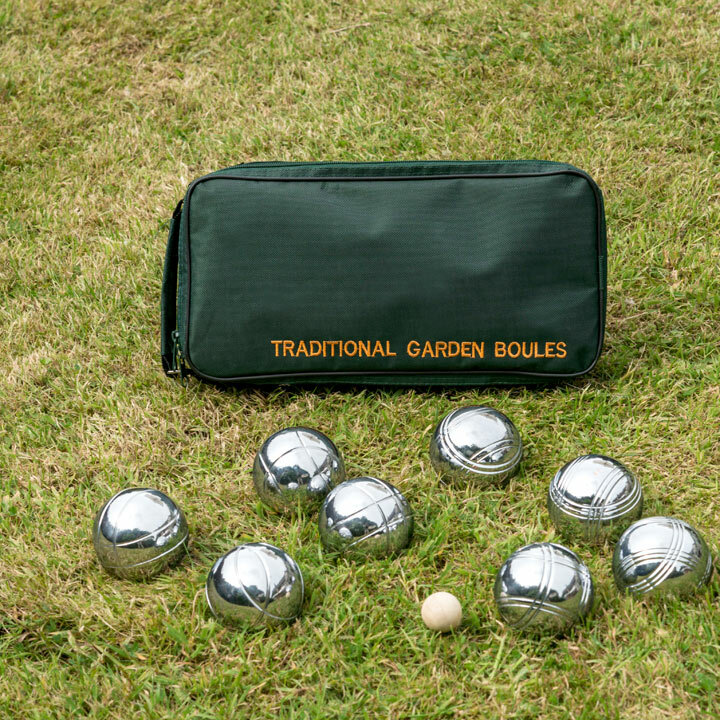 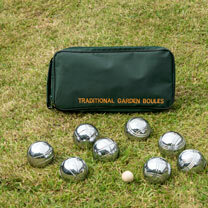 Eight metal boules supplied in a canvas storage bag with wooden jack, measure & instructions. Ages 14+.